Kendrick Lamar stirred up a hornets nest of rap artists last week in New York when he and Big Sean dropped Control (HOF) on HOT 97.1. In addition to crowning himself king of New York (he’s from California by the way) he also calls out several rappers which has seen an overwhelming response from the hip-hop community. If this verse was meant to get attention from fans and artists in the hip-hop community it certainly worked. 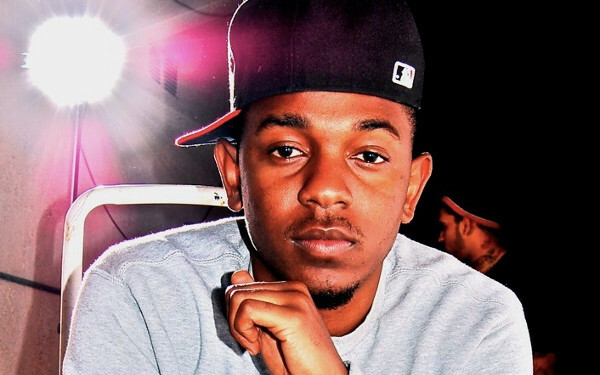 The song by Big Sean ft. Kendrick Lamar has gone viral and is getting a lot of attention, several artists have posted responses to Control (HOF). In case you missed Lamar’s verse here it is. The verse has been interpreted by some as a reference to Kurupt’s songs New York, New York and Calling out names. What he’s done here is challenge the industry to step its game up and it looks like the industry has taken notice. 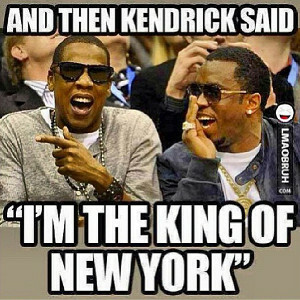 P. Diddy responded with this picture on instagram, responding with a verse would have been better. Here’s some of the other responses. This entry was posted by Fresh Dub on August 22, 2013 at 9:14 pm, and is filed under Music. Follow any responses to this post through RSS 2.0. You can leave a response or trackback from your own site.